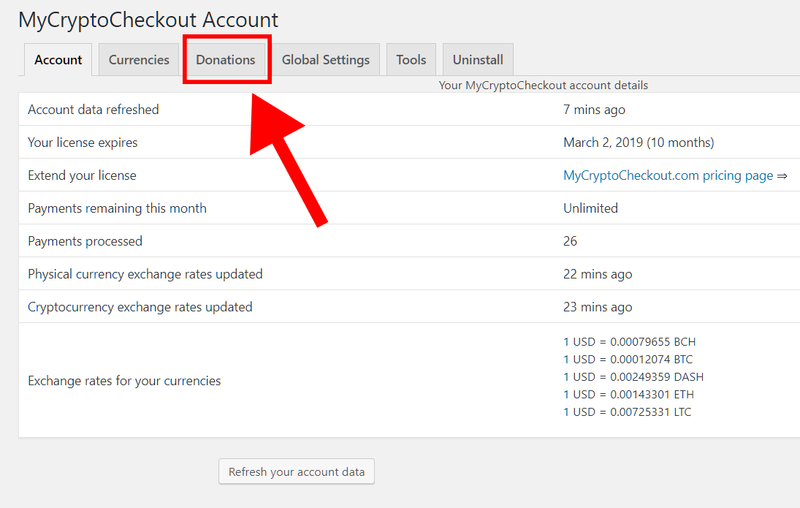 Adjust the donation widget settings by visiting wp-admin > Settings > MyCryptoCheckout > Donations. 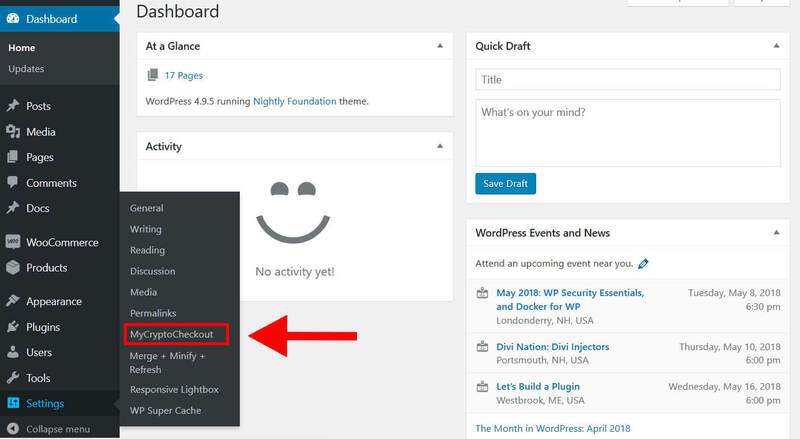 You can generate shortcodes for widgets to accept cryptocurrency donations on your WordPress website and/or blog. 2) Click into the donations tab. 3) Choose the display settings you prefer to generate your donations widget shortcode. 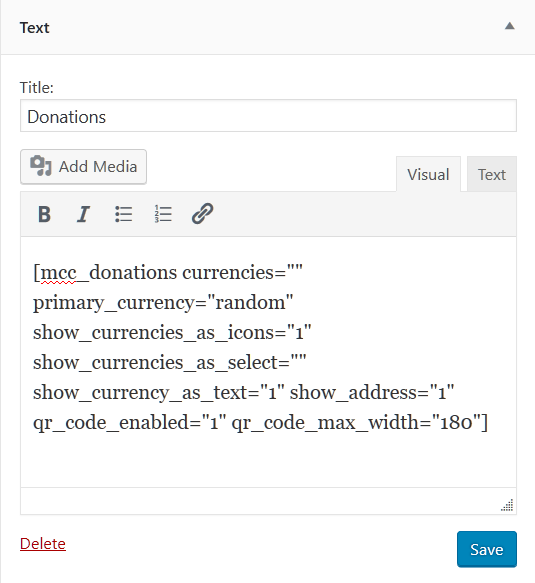 4) Copy and paste the shortcode into a text widget or text editor to display the donations widget. 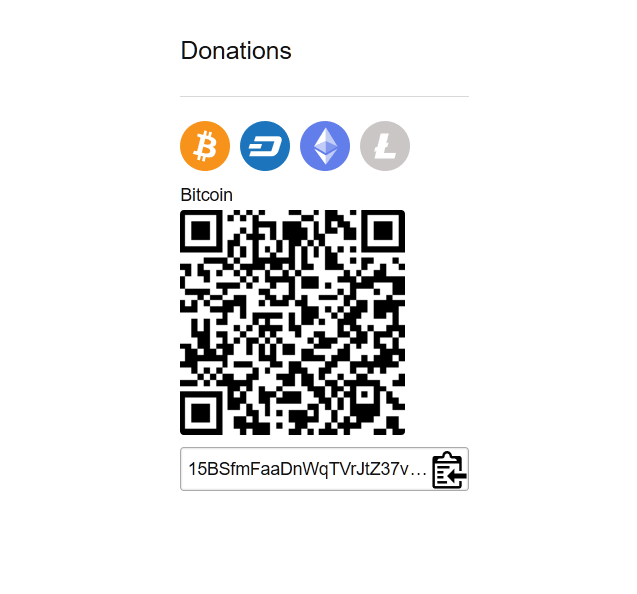 4) Now the donations widget should appear on the frontend of the website. The example below displays the currencies as icons, shows the QR code, and shows the wallet address text.